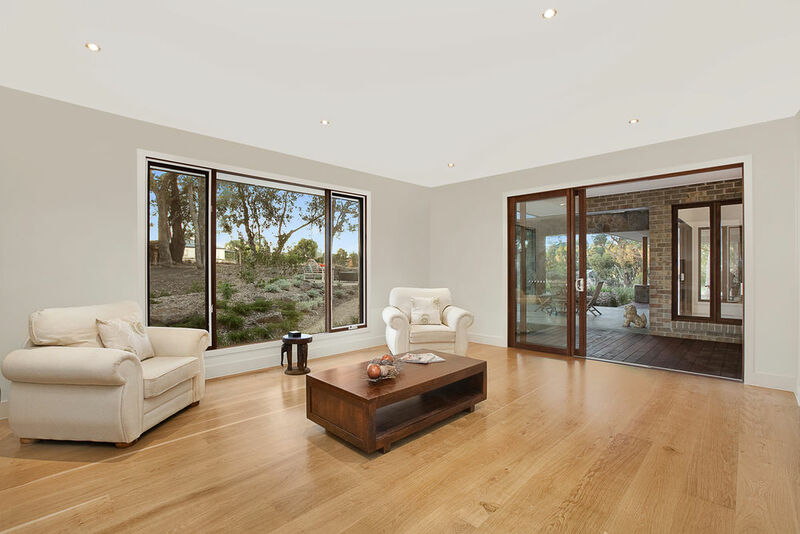 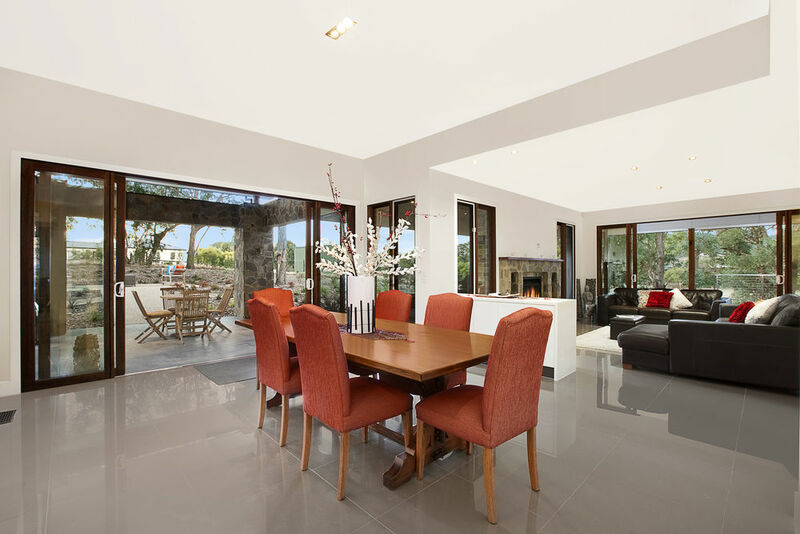 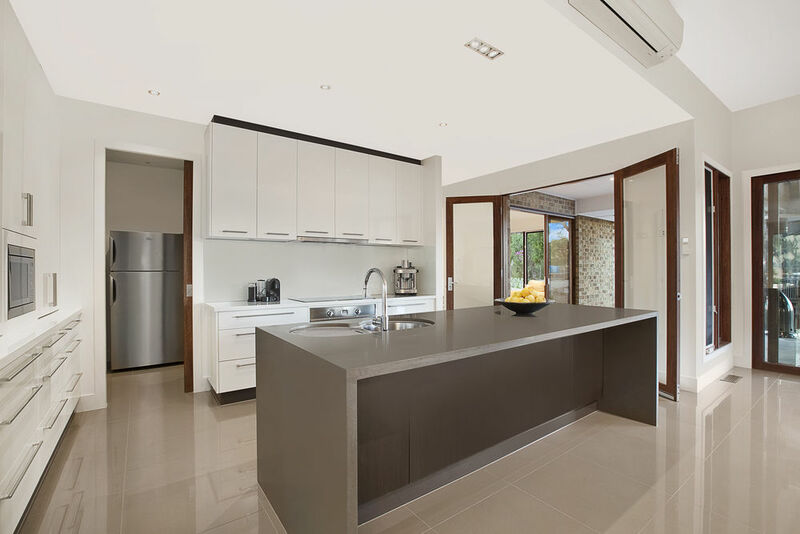 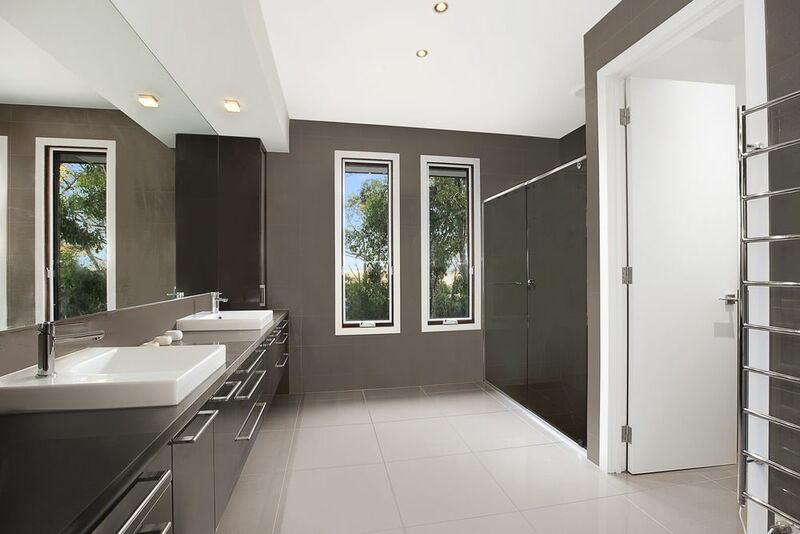 this Architectually designed luxury home combines open-plan living with elegance. 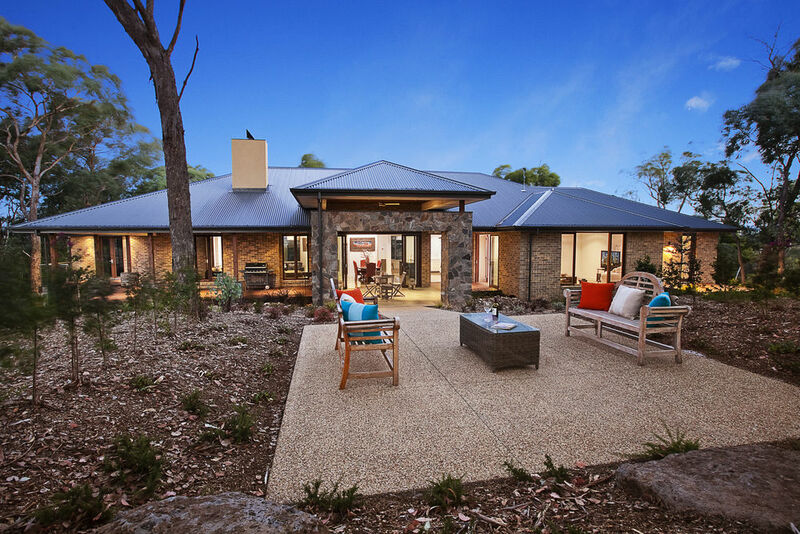 A brick veneer construction, with metal roof ,incorporating the use of local stone cladding, as well as timber species such as IRON BARK, merbau and western red cedar. 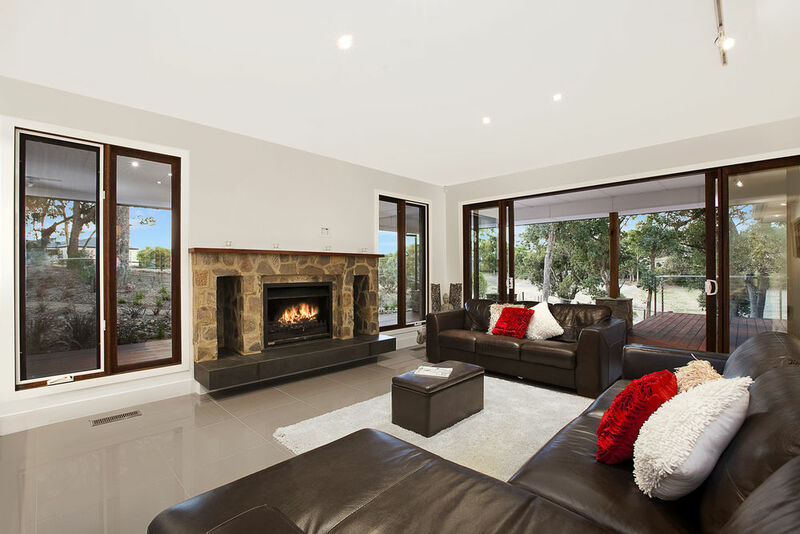 This architecturally designed luxury home features 6 separate living zones, open fire place, which EMPHASIZES relaxed casual living without sacrificing elegant formal spaces. 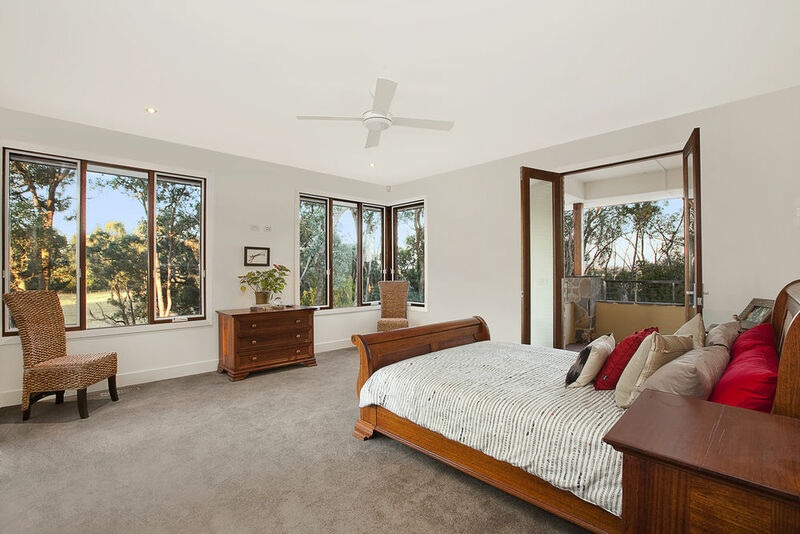 The practical design places the main bedroom with walk in robe, EN SUITE bathroom and study away from the 3 generous CHILDREN'S bedrooms. 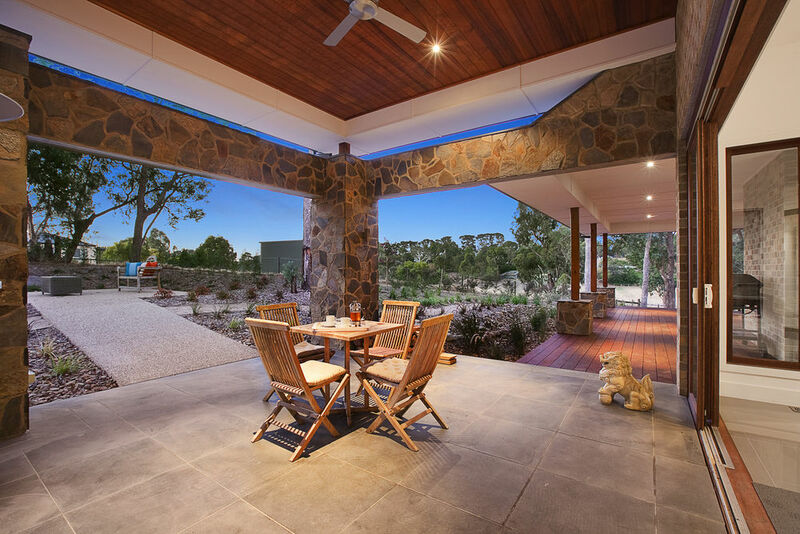 Soaring ceilings accentuate the height and space of the sensational open plan setting that integrates a picture-perfect outdoor setting, also providing sensational indoor-outdoor living options.